Anyone who saw Taika Waititi’s exemplary vampire-mockumentary What We Do In Shadows instantly leapt for joy when it was announced that the Kiwi filmmaker would be overseeing Thor: Ragnarok. Obviously, the fact that all of Taika Waititi’s previous films have been made in New Zealand led to slight worries that he might struggle under the rigors of Hollywood and Marvel. But his impending film Hunt For The Wilderpeople not only immediately puts these concerns to bed, but it also proves that he is the perfect choice to direct Thor: Ragnorak. With Thor: Ragnarok still over 18 months away and production imminent, we still don’t know all that much about its plot, except that it will include Mark Ruffalo as Bruce Banner/Hulk. In fact, the actor himself described Thor: Ragnarok as "a universal road movie" earlier this year, even comparing the relationship between Chris Hemsworth’s Thor and Bruce Banner to that of Charles Grodin and Robert De Niro in Midnight Run. There’s a similar dynamic in Hunt For The Wilderpeople, which I was lucky to see earlier this week at the Tribeca Film Festival. But rather than it being between a rampaging monster and Nordic God, it’s between Sam Neill’s cranky Uncle Hec and the young city orphan Ricky Baker, played by Julian Dennison. After Ricky Baker is sent by child warfare to a remote farm on the edge of a huge forest he develops the first loving relationship with his foster aunt Bella (Rima Te Wiata). Bella’s untimely death provokes Ricky to run into the woods. Uncle Hec soon follows behind so he can bring Ricky back and child welfare can find him a new home. But an injury forces the pair to live in the elongated shrub for several weeks. During this time Uncle Hec is accused of kidnapping Ricky, who explains to his bereaved foster uncle that he will be sent to juvenile prison if he returns and the pair forge a bond. It’s a heartfelt story that is constantly punctuated with hilarious moments, which not only add an energy and vigor to Hunt For The Wilderpeople, but also allows us to gain further insight into the characters. Rather excitingly though considering Taika Waititi’s future projects is just how proudly madcap yet still wonderfully mainstream Hunt For The Wilderpeople is. 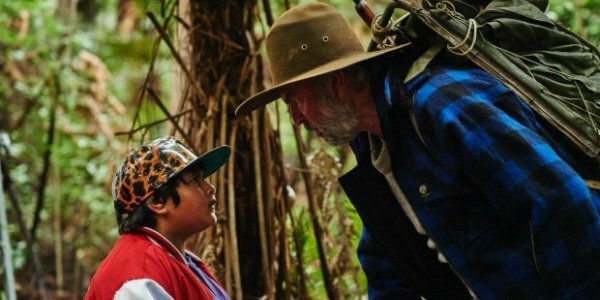 While Taika Waititi’s humor and tone from Eagle vs Shark, Boy and What We Do In The Shadows is once again prominent in Hunt For The Wilderpeople, this time around he showcases a directing flair and panache that is not only charismatic and personable but immediately evokes memories of some of Hollywood’s finest. Taika Waititi’s deployment of mise-en-scene, editing, and framing for comedy is reminiscent of Wes Anderson, his use of chapters tips its hat to Quentin Tarantino, he builds a makeshift family like Joss Whedon, and his speed and use of the camera is straight out of Edgar Wright’s handbook. But it all coagulates together in a unique but compelling fashion that should once again mean that Thor: Ragnarok will be delightfully original, yet is still able to fit snug into the Marvel Cinematic Universe. Obviously, we can only hope that Taika Waititi has more luck working with Marvel Studios and Kevin Feige than Edgar Wright did on Ant-Man. But if Hunt For The Wilderpeople is anything to go by, then it should be a marriage made in Asgard.